Every year I have the exact same issue, trying to prepare a holiday meal with one oven. 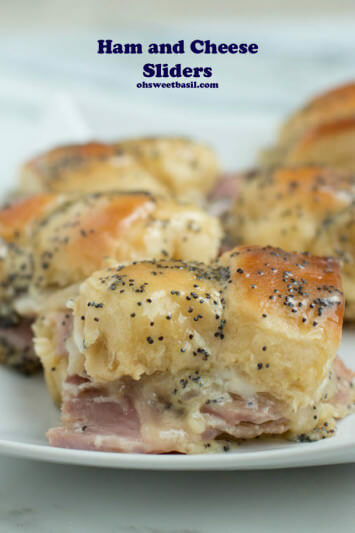 I adore homemade rolls, perfectly cooked sides and a big, fat, juicy ham, so I don’t want to skip any of those recipes. The only problem is there just isn’t room to make everything and have it all hot and ready at the same time. So this year I am going to teach you how to make ham in a slow cooker. I really don’t know why I didn’t do this earlier. And I have to beg you for just a moment to give this recipe a try. It’s glazed and though it’s hard to tell in the picture it’s actually really fantastic. 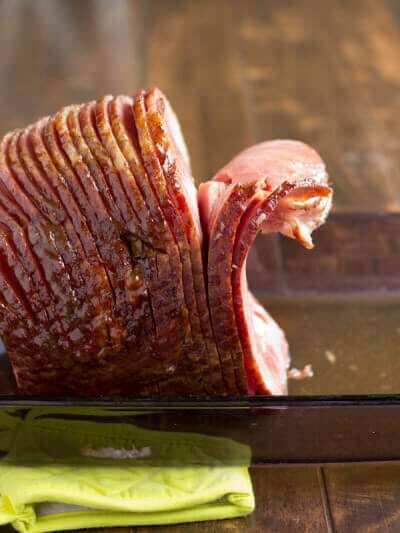 Anyway, this recipe is super easy and if you’re looking for something a little more exciting you can always go with the southern ham that has an awesome glaze on that one too. 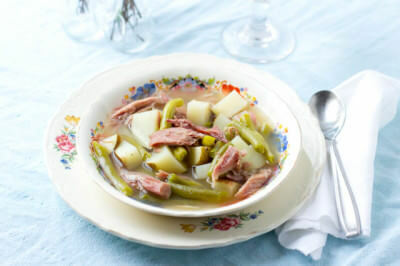 All you do is prepare the ham like normal but then stick it in a slow cooker for 4 hours. That’s it! It’s all ready to go and you’ve had your oven free the whole time! Add the brown sugar and mustard to a bowl and mix to combine. Rub all over the spiral ham and place in the slow cooker. Add the pop and pineapple with juice to the bottom and cook on low for 4 to 5 hours. 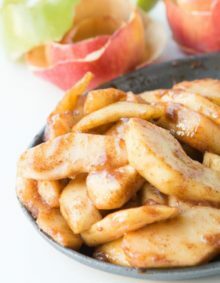 Let rest 10 minutes and serve with excess juices which you can also cook down with a little cornstarch for a sweet sauce. 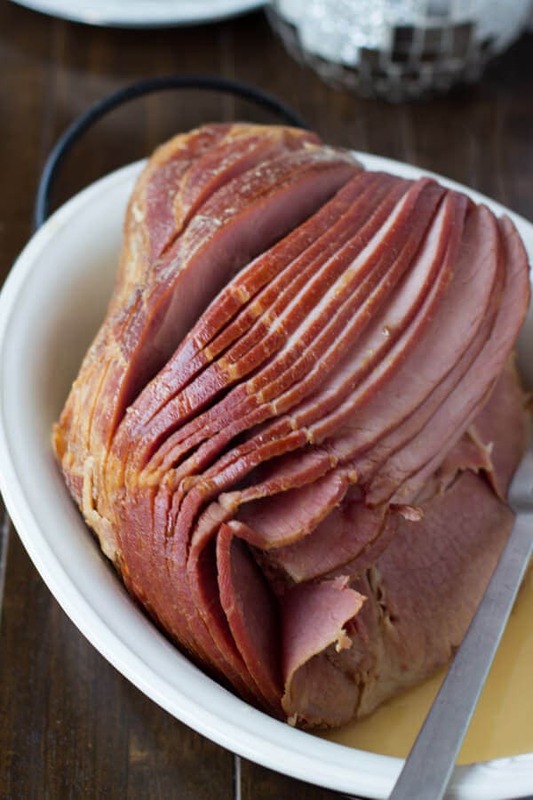 It’s Christmas morning and I just gone online to print this recipe out because this is how I make ham now. It’s delicious, easy, and the crock pot makes it easy to take to someone else’s house. Merry Christmas! Thanks lori! So glad you love it! 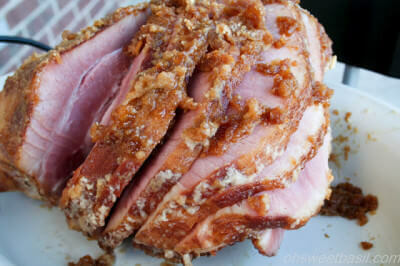 Just an fyi – Crock Pot makes a BBQ Pit slow cooker that will hold my 12# ham just right! We use it for ribs, brisket, etc… but when I saw people using crockpots for hams, it just found another use. I just tried this tonight for dinner. I didn’t cook for Easter dinner but I bought a ham while they were on sale at the grocery store. All I can say is: this is my new ham recipe! It was delicious!!!! Easy enough for a weeknight dinner but delicious enough for a holiday meal. Wonderful!! I’m so thrilled it worked for you! 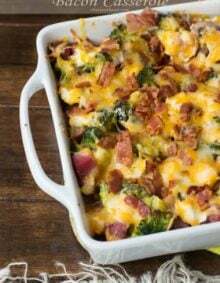 This recipe was great over the holidays & perfect for a dad serving Christmas dinner up for two hungry sons. I am using it once again & had to say thanks. 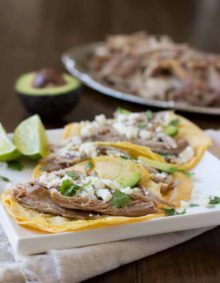 I’ve tried some other meats in the slow cooker since using the success of using this recipe & they turned out very bland, so I’m happy to return to this recipe. Tom, thank you so much! I’m so thrilled to hear that. you’ll have to try our slow cooker whole chicken next! I love this idea but my 12 pound ham doesn’t fit! I may cook, then put most if it on “keep warm” while heating up shells, veggies and lasagna. Oh, shoot! I have a large slow cooker and only buy small hams since there’s only 4 of us so I should have tested with the biggest ham I could find. Yes, I totally would do the same as you. It is something I am looking for. Will share with my hubby to cook. You just solved my problem!! Thank you very much, I’m excited to make this. Happy Easter! 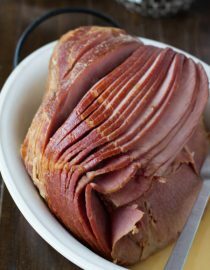 Does it have to be a spiral ham?? What size slow cooker for a 10 pound ham. 1’ve only been able to fit a 5 pound ham in a 6.5 quart slow cooker? What size of slow cooker do you use? Thanks for sharing. I’m always looking for new ways to use my slowcooker. great idea.. i’m not a fan of Dr Pepper, so hoping coke would work instead. This is so brilliant! I will have to try it!